IMG_0900, originally uploaded by lostinbrooklyn. For those of us who live in the upper floors of buildings, humidity and heat are especially painful to both sweat glands and wallet. 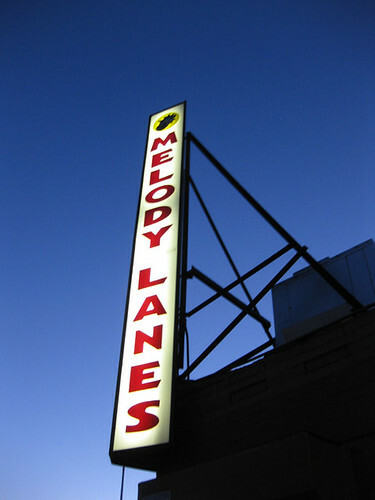 If the sprinklers and pool aren't an option, if Target's air conditioning is too far of a bus ride, and if the library's joy has been worn away, consider buying a game at Melody Lanes and hanging out there for a bit. Great people watching, lots of space, kid-friendly. Also the bartender here is quite the character. I need to go back there soon!